Dr. Bolton specializes in producing incredible results, regardless of your hair type. This patient had very fine, thin hair, and was able to achieve the result below. 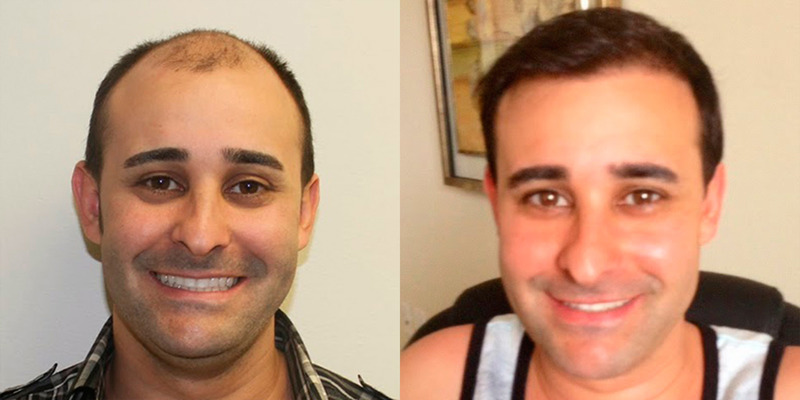 What an incredible difference one hair transplant can make. Congratulations on your restored confidence and thank you for allowing us to use your picture to help others to do the same! Patient Can’t Stop Smiling After Hair Transplant Results One of the best feelings is seeing patients after their results grow in. They have a new spirit about them, restored confidence, and are much happier. This patient loves his new results and that is clearly reflected in his "after" pictures below. In 1 single year, you can completely restore your confidence and change your look with a MaxHarvest™ hair transplant. ← Previous Previous post: Do Not Pick A Doctor Based On Your Location!